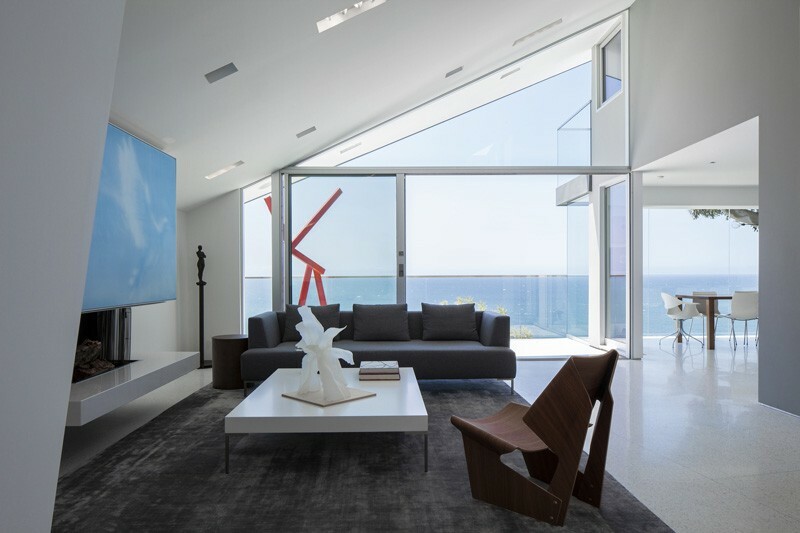 Challenged with renovating a post-and-beam home on a severe hillside, Patrick Tighe Architecture transformed the Montee Karp Residence into a bright and airy house in Malibu, California, with stunning views framing Santa Monica Bay. 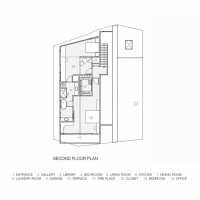 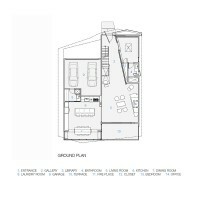 The 2200 sq. 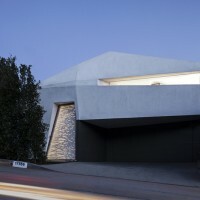 ft. residence is located on a severe hillside site in Malibu overlooking the Pacific Ocean. 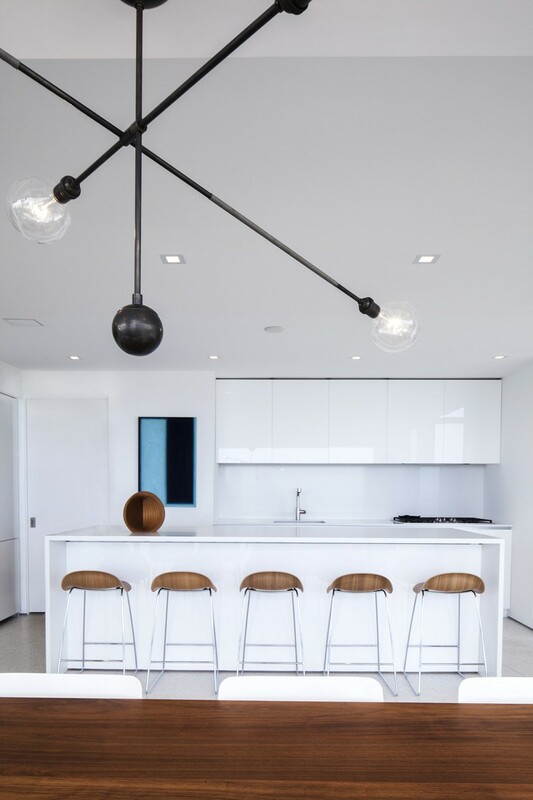 The project is an extensive remodel of an existing post-and-beam home in need of a structural, programmatic and environmental upgrade. 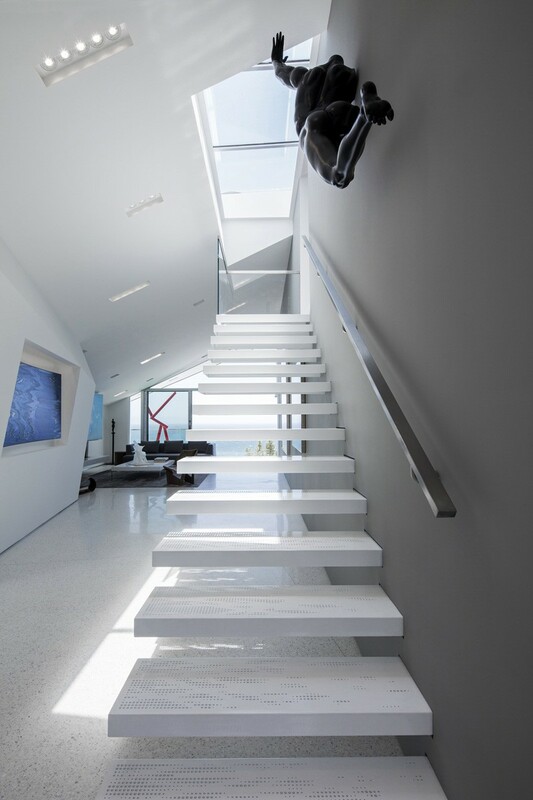 The residence is re-envisioned for the 21st century. 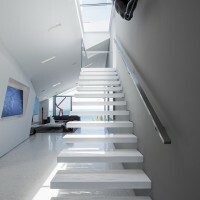 The existing roof geometry is accentuated creating a language of faceted surfaces. 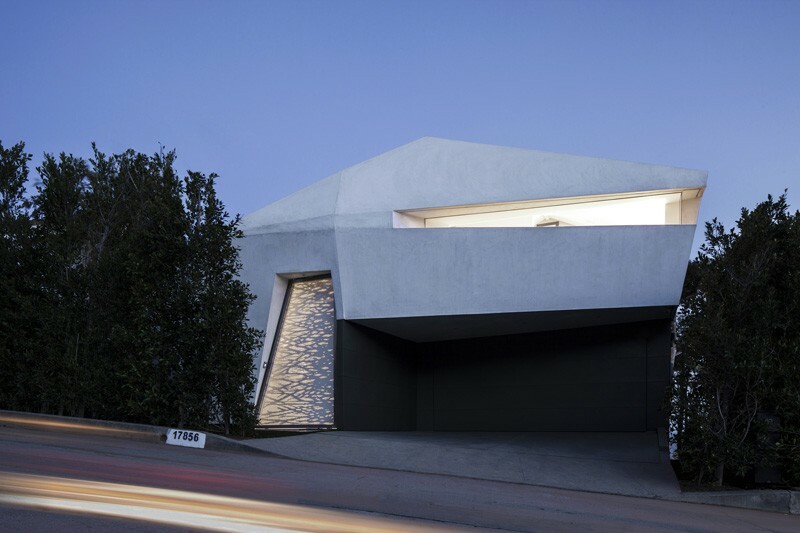 The articulated volume of the building’s front facade extends indoors to define the interior spaces, resulting in a dematerialization of the roof, wall and floor planes. 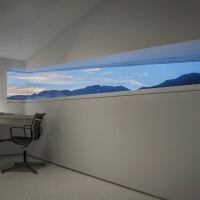 A forced perspective is created, framing the extraordinary views out to the Santa Monica Bay. 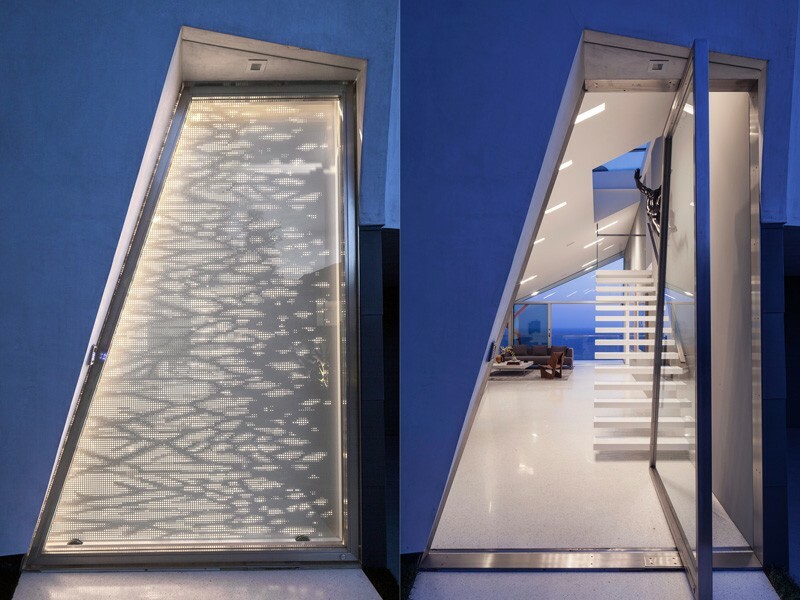 A grand entry door made of a stainless steel tube frame marks the threshold into the relatively small house. 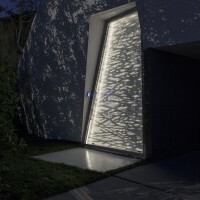 The 10’ high door makes use of a hydraulic pivot and a concealed magnetic locking device. 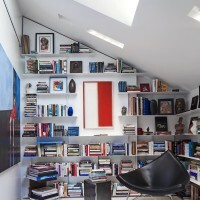 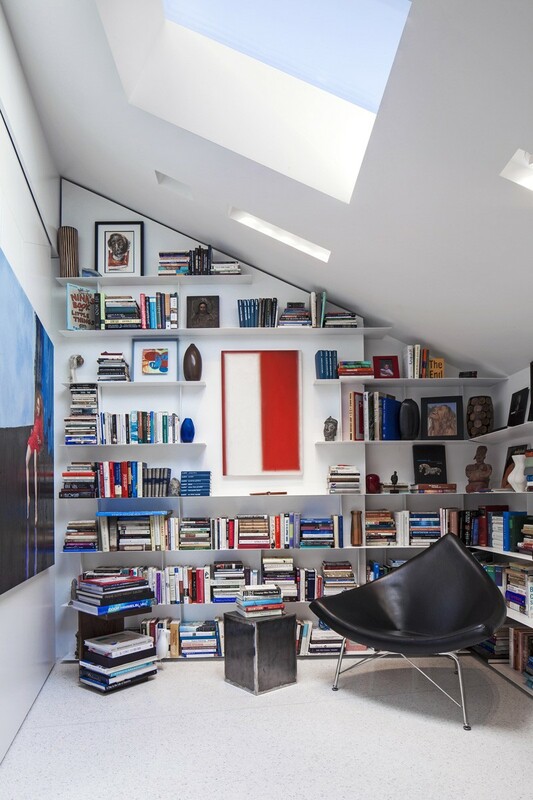 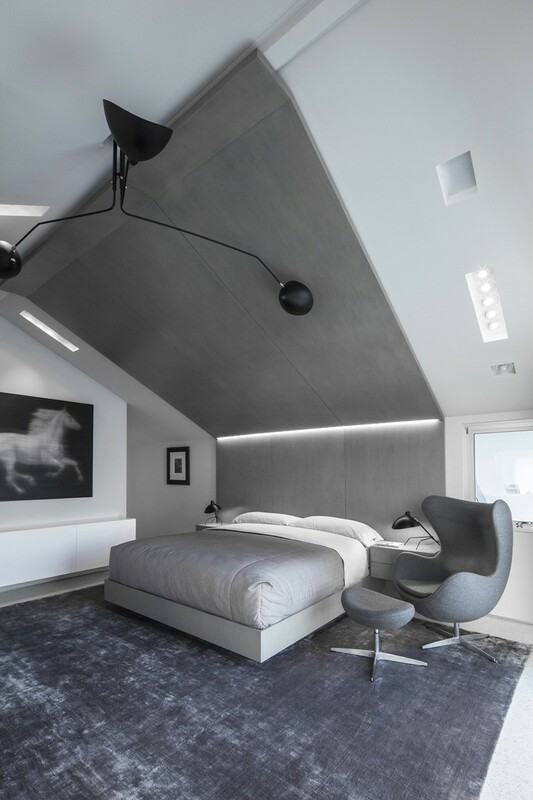 The minimal, gallery-like living space is designed to accommodate the client’s extensive collection of contemporary art. 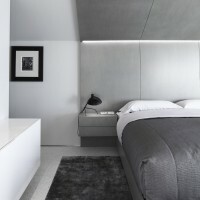 Display niches, lighting and the configuration of the spaces are planned to enhance the experience of viewing the art. 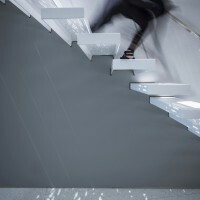 The stair has cantilevering steel treads, each with a custom laser-cut pattern. 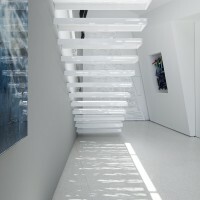 Light from the skylight above filters through the perforated stair to project an ever-changing texture of shadow and light, enlivening the walls and floor.